We are currently conducting a new survey of the flora and fauna of Ferbane bog, with the results published here soon. The most recent survey, by Fernandez et al in 2012, forms the basis of the following report. Much of the surface of Ferbane bog is very wet and spongy and the cover of bog mosses and lichens is generally high. 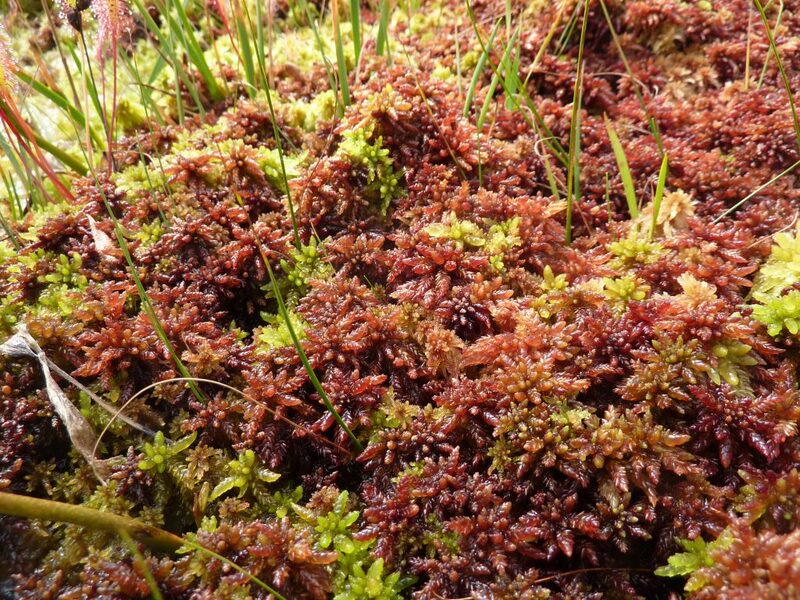 On the high bog, the percentage cover of bog mosses (Sphagnum spp.) is high and hummocks, pools, wet flats, Sphagnum lawns, flushes and soaks are common. 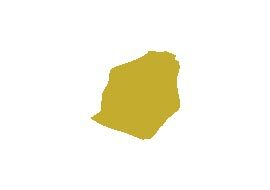 Sphagnum cover reaches 100% in certain locations. The Rhynchosporion habitat occurs in wet depressions, pool edges and erosion channels where the vegetation includes White Beak-sedge (Rhynchospora alba), Brown Beak-sedge (R. fusca), and some of the following associated species: Bog Asphodel (Narthecium ossifragum), sundews (Drosera spp. ), Deergrass (Scirpus cespitosus) and Carnation Sedge (Carex panicea). A wet, quaking area to the east occurs in a depression and is characterised by a dominant growth of Hare’s-tail Cottongrass (Eriophorum vaginatum), while another very wet quaking area on the western side of the site has well-developed inter-connecting pools. It is in these wettest portions of the high bog that Rhynchosporion vegetation is best developed. 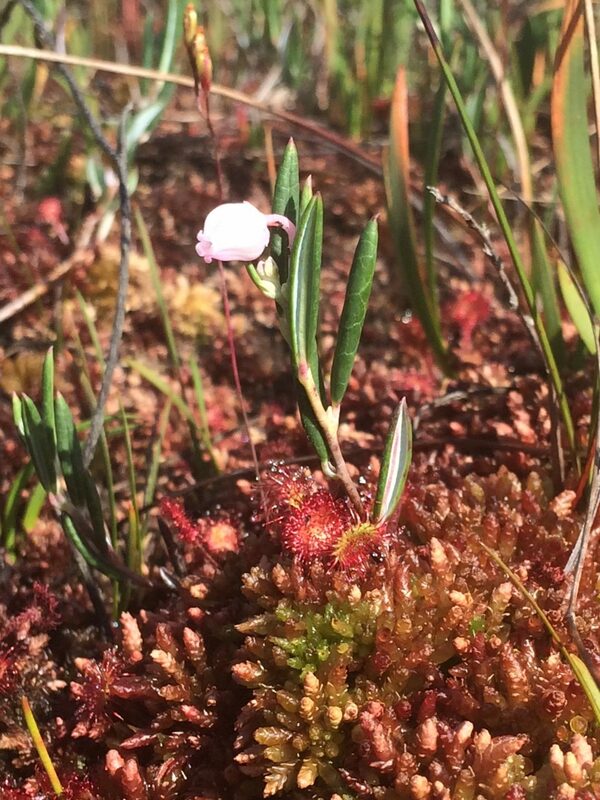 Here there are extensive lawns of Sphagnum magellanicum and S. cuspidatum, accompanied by vascular plant species such as White Beak-sedge, Common Cottongrass (Eriophorum angustifolium), Great Sundew (Drosera anglica) and Bogbean (Menyanthes trifoliata). Lawns of S. magellanicum and hummocks of S. papillosum, S. capillifolium and S. imbricatum occur in slightly drier areas surrounding these wettest zones. Carnation Sedge is present in abundance throughout the site, but particularly so on sloping areas. Purple Moor-grass (Molinia caerulea) and Bog-myrtle (Myrica gale) occur in scattered patches throughout the bog. 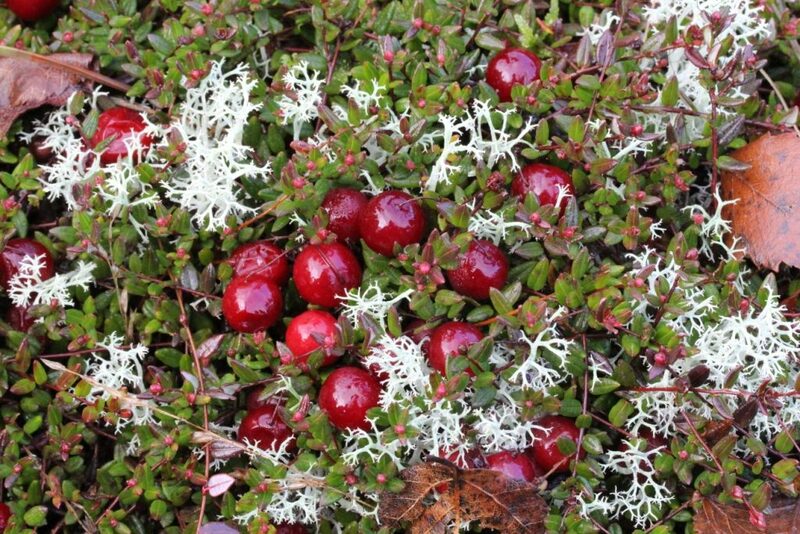 Bog-rosemary (Andromeda polifolia) and Cranberry (Vaccinum oxycoccos) are also found. Degraded raised bog occurs on the drier margins of the high bog dome. The vegetation is typical of degraded raised bog habitat in Ireland, with more robust species such as Heather (Calluna vulgaris), Deergrass, Carnation Sedge, Bog Asphodel and Cross-leaved Heath (Erica tetralix) tending to predominate. Along the driest margins of the high bog there is invasion by shrub species such as Scots Pine (Pinus sylvestris), Downy Birch (Betula pubescens) , Gorse (Ulex europaeus) and Rhododendron (Rhododendron ponticum). The latter is an invasive species. Sphagnum cover is low in degraded areas of raised bog, typically covering less than 30% of the ground, and conversely the cover of lichens (Cladonia spp.) tends to be locally high. The vegetation of the older cut-away areas to the west, north and east of the site is dominated by Downy Birch and Gorse, with areas of Bracken (Pteridium aquilinum), willow (Salix sp. ), Bilberry (Vaccinium myrtillus), Scots Pine and Rhododendron also found. Central ecotope occurs at two locations, both in depressions in the west north-west of the high bog. Two community complexes were recorded, both consisting of low hummocks, lawns, and pools. One complex is extremely wet with inter-connecting pools covering 51-75% that could almost be considered as one very large pool. As above, we are currently undertaking a survey of Ferbane Bog, the results of which will be published on this site soon. The common frog (Rana temporaria) is present on the bog as is Irish hare (Lepus timidus hibernicus), with badger (Meles meles), fox (Vulpes vulpes), and fallow deer (Dama dama) also present in the area. 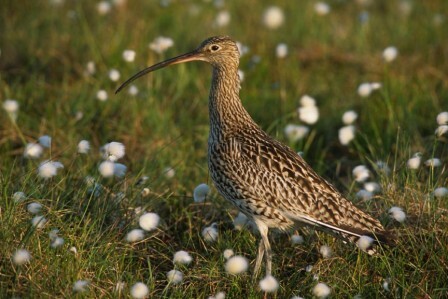 Snipe (Gallinago gallinago), skylark (Alauda arvensis), curlew (Numenius arquata), and meadow pipit (Anthus pratensis) are reported to have bred within the site. Pheasant (Phasianus colchicus) and woodcock (Scolopax rusticola) occur around the margins of the site. Other birds that frequent the site include sparrowhawk (Accipiter nisus), kestrel (Falco tinnunculus) and merlin (Falco columbarius). The spider fauna of Ferbane Bog has been subject to recent survey by Myles Nolan who details that Ferbane is home to six rare spiders: Hypsosinga albovittata; Pirata piscatorius; Satilatlas britteni; Simitidion Simile; Walckenaeria alticeps; and Talavera aequipes (only found on two of 11 sites he surveyed). 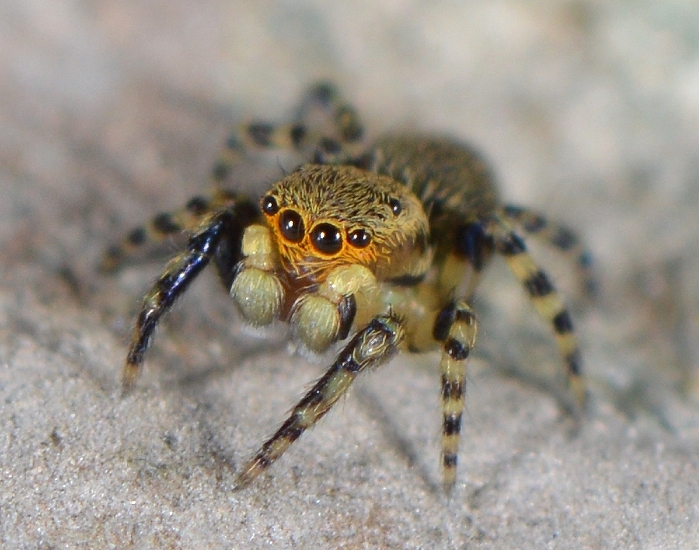 Over 25 types of spider were recorded on the site.